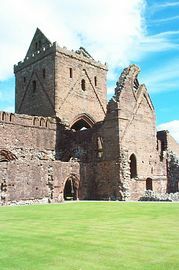 You can explore the nearby Borders, Hadrian's Wall, Cumbria and the famous towns of Carlisle, Dumfries and of course Gretna. Annan is at the gate to the Solway Coast Heritage Trail. 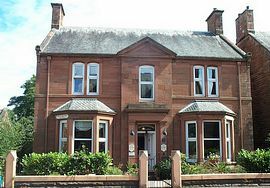 Tara and David are delighted to welcome you to their traditional red sandstone guesthouse. You can relax in one of our charming en-suite bedrooms with an in-house massage or reflexology treatment. 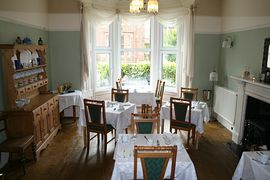 A hearty breakfast is served in the dining room, featuring quality local ingredients. We also offer vegetarian and gluten-free choices. Quality picnics and packed lunches are available for a busy day out and about. We are within walking distance of the many amenities that Annan has to offer including a cinema, indoor swimming pool, the coast and numerous good restaurants. Private and secure parking is located within our walled garden. Bike and fishing equipment storage is available. Small wedding groups and private parties are most welcome. Special packages can be tailored for your individual needs like a relaxing aromatherapy treatment for the bride and the bride's mother, afternoon tea or even a Pimms in the garden! We welcome all families and can supply basic items to aid your stay, as well as an off road push chair and baby back carrier. Please do not hesitate to contact David or Tara for more details and information. We look forward to making your stay with us a memorable experience. All prices are per room based upon two people sharing.